A five-story building went ablaze in the center of the Dutch city of Rotterdam, injuring at least thirteen people, the new outlet NL Times reported on Wednesday. 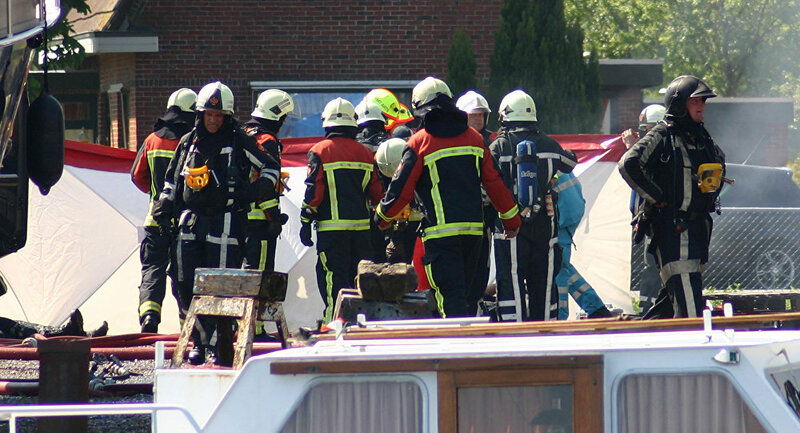 The fire occurred in a building in the Dutch city of Rotterdam. As a result of the accident, thirteen were injured and at least eleven people were taken to hospital for inhaling smoke. Causes of the two fires in the five-story building are still unclear. Police have launched an investigation into the case. ​According to the report, the fire began in a power meter cupboard on the five-story building's third floor. When firefighters arrived at the scene, they found a container on the first floor also immersed in fire. The firemen managed to quickly get the fire under control, but the building remained very smoky, the media outlet said. Residents inside the building were evacuated and temporarily sheltered in a nearby hotel. Most of them have now returned to their homes.